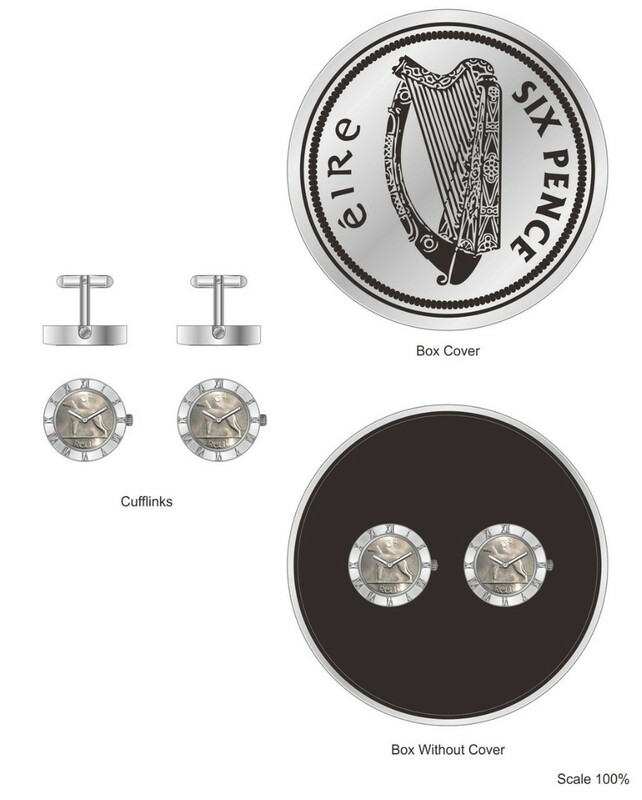 Irish Sixpenny Gents Set of Cufflinks Watch This fabulous unique product is the first of the Gent's Jewellry range to be introduced to the Narrow Water Gifts Penny Watch portfolio of products. 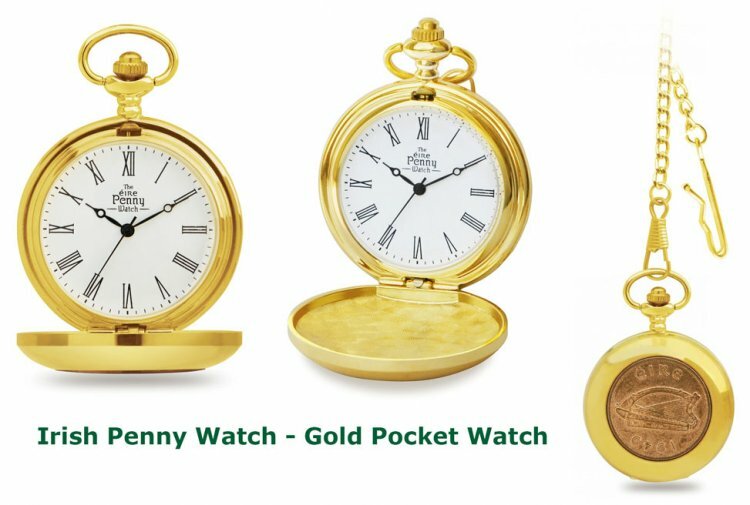 The cufflinks watch has an Irish Original Sixpenny in the dial ( irish wolfhound 6d face), in circulation between 1928 - 1968 in pre-decimal coinage. Suitable gift for a Birthday, Retirement, Christmas or any occasion. Supplied in a breathtaking presentation gift box and securely packaged for posting. Price includes postage in Ireland & UK.